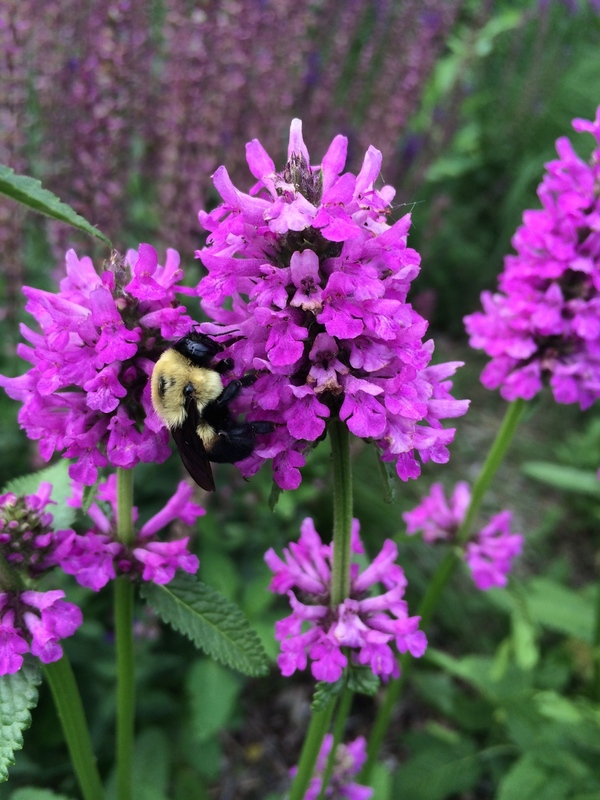 Creating Successful Plant Communities — Ringers Landscape Services, Inc.
As with most living things, perennials thrive in a community environment. All too often we see gas station/shopping mall plantings (isolated individual plants surrounded by way too much dyed mulch) being replicated at the homeowners scale. This approach is a quick recipe for disaster, which leads to a frustrated, unhappy gardener, who finds themselves messing around with harmful chemicals and opening up their wallet more than they would like to admit. THERE IS A BETTER WAY - and all it requires is a little common sense. Proper bed prep - The importance of this first step cannot be overstated, and is an entire article in itself. Though it varies from site to site, the gist of it includes - Remove all weeds, and disturb the soil as little as possible. Plant densely - 12-18" spacing is ideal. Shading the soil with dense vegetative cover prevents weed seeds (which desperately need sunlight) from germinating. 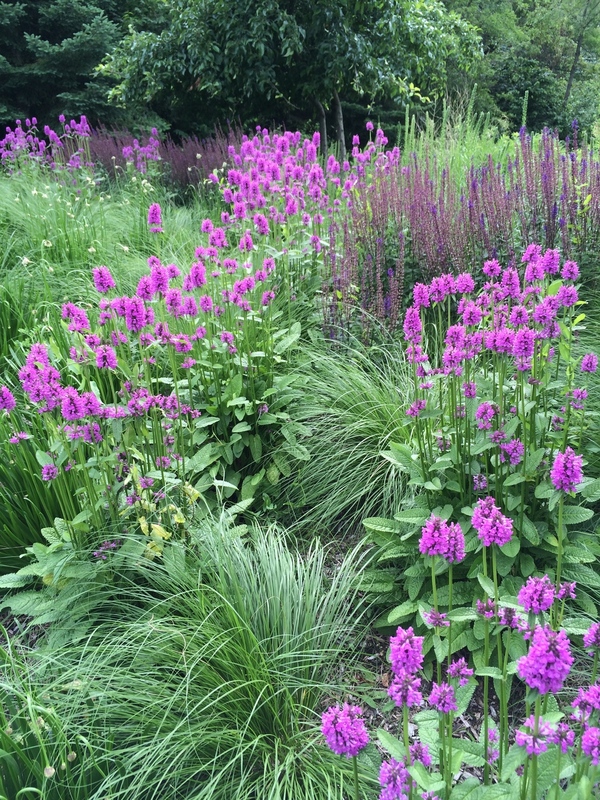 Right plant right place - Choose plants based off of growth habit, texture, and seasonal interest. Bloom time and color is important, but should just be one element of the overall composition. Think tapestry! Mulch - During the time of planting, an initial light layer of leaf or wood chip mulch will help cover bare soil (i.e. suppress weeds!) before the young plants reach maturity and have a chance to fill the space (i.e. outcompete weeds!). Mulch is also beneficial for maintaining soil moisture during the establishment phase. Once the plant community reaches maturity, the plants will take care of this on their own, along with many other "things" you'll feel the need to do. After year one - No mulch necessary! - 1. You won't see it 2. If anything it will be detrimental to the plants by holding moisture near the plants crown, causing rot. Leave the leaves - And the sticks and stems! Plants have evolved to thrive in, and recycle their own debris. Simply mow over the planting in the very early spring and tidy up the space. This free organic material acts as a fast degrading coverage in the winter, and early spring. It also returns valuable organic matter back to the soil. It's all about the soil. Plant a bulb layer - First for optimism, second for color, and third for vegetative cover in the early spring. Bulbs popping up through the lighted colored mulched plant debris looks like a beautiful alpine meadow! A neglected garden bed born from frustrations associated with conventional planting techniques. Proper bed prep was key to this plantings long-term success. This photo was taken in 2013. Laying out the plants in a dense tapestry. Year one - plant community establishment phase. The following spring (2014) - Plants were left up in the fall to add winter interest and coverage. Debris from the previous season is cut down, mulched, and returned to the planting bed as a source of coverage and organic material. A bulb layer (not shown) can easily take this scene to the next level! Year two - Where are the weeds? Where is the mulch? THIS IS A HAPPY "KNOW MAINTENANCE" PLANT COMMUNITY!